YEAH, we love being so bold! True Religion has launched their “Be So Bold” campaign video, which is a part of their Fearless Style brand re-launch. The unique film portrays the impact and confidence unleashed in a pair of True Religion jeans and will be featured in movie premieres including “The Hunger Games: Mocking Jay Part I” and “Gone Girl”, as well as on digital platforms such as Hulu, YouTube, and the True Religion micro-site. 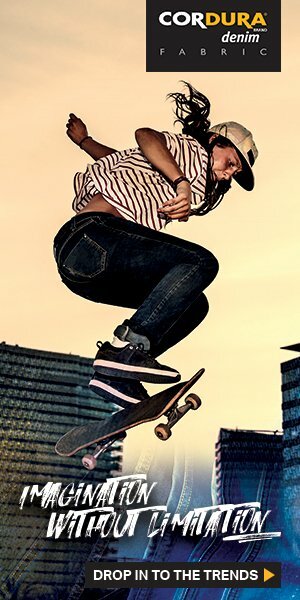 True Religion last week revealed its new Be So Bold campaign, which celebrates the Fearless Style brand re-launch and invites consumers to take the stage— across social and digital platforms— through bold statements of personal expression. The Fearless Style platform is also the inspiration for True Religion’s new product line available online and in retail stores beginning in October. As part of the brand transformation, the company will be launching a new store concept in key markets this fall. The campaign will recruit style leaders to share bold self-expression by posting Tweets, Instagrams, photos or Vines of themselves showcasing their own fearless style using the hashtags #BeSoBold and #EnterToWin. True Religion will turn over its Facebook page to feature the best entry and winners will also have the chance to be featured on True Religion’s website and Instagram account. Winning photos and videos will also be displayed on the 9 foot digital storefront windows and interactive kiosks in new stores that will open this fall in New York, Los Angeles, Chicago, Las Vegas and Washington, D.C. Existing stores will also evolve to create an elevated brand experience. The brand is making a paradigm shift from the category’s conventional reliance on print to a film and digital strategy that engages consumers to be part of the creative expression of the brand. The campaign, which launched across platforms on Friday, September 26, challenges consumers to make ordinary moments extraordinary using declarations such as “Fortune favors the bold”, “Don’t just make an entrance, cause a scene” and “True style is fearless”. The unique slow motion film technique portrays the magnetic attraction—and impact—that comes from the confident swagger unleashed in a pair of True Religion jeans and will be featured in movie premieres including “The Hunger Games: Mocking Jay Part I” and “Gone Girl” as well as on digital platforms such as Hulu, YouTube, GQ, The Bleacher Report and Complex.com, among others. True Religion’s fall collection, the first from Creative Director Gary Harvey, will be a manifestation of the brand’s fearless style attitude. The product line will mark a confident return to the brand’s roots and the iconic stitching will be retained, but will be constructed in a new way and combined with modern silhouettes and fits; new lightweight and stretch fabrics; metallic and coated embellishments and vintage and laser finishes and graphics. Whoever is running the brand clearly is not in touch with the brand soul. Looked and sounded more like an ad for a truck launch.